Provide comfort for the family of Bobby Hintz with a meaningful gesture of sympathy. Bobby J. Hintz, 66 of Nova passed away, Wednesday, March 20, 2019 in her home. She was born on April 5, 1952 to the late Robert and Carol (nee Willson) Burckhard in Aberdeen, South Dakota. Bobby graduated from Central High School, Class of 1970. She married William C. “Bill” Hintz on June 27, 1989. Bobby along with her husband raised, German Short Hairs for more than 20 years. She was an avid fan of music having enjoyed playing her guitar all of her life. Bobby enjoyed watching both birds and butterflies with her husband by her side. She is survived by her loving husband of 29 years, Bill Hintz of Nova; one daughter. Brooke Craney; and numerous brothers, sisters, and cousins. Bobby is preceded in death by her parents. Funeral services will be Saturday, March 23, 2019 at 3:00 p.m. in the Denbow-Gasche Funeral Home. Friends may call two hours prior to the service from 1:00 p.m. to 3:00 p.m. Following the service a meal and time of fellowship will held in the Legacy Room of the funeral home. In lieu of flowers, memorial contributions may be made to Ashland County Shelter, 1710 Garfield Avenue, Ashland, Ohio 44805. 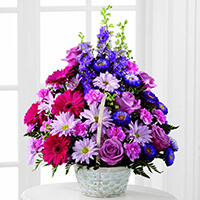 To send flowers in memory of Bobby J. Hintz (Burckhard), please visit our Heartfelt Sympathies Store. Jeff Wasko , Trudy Summers and Doc Reynoldes and David Hewson have sent flowers to the family of Bobby J. Hintz (Burckhard). My first real memory of Bobby was her taking Colleen and I to see the movie Beethoven. We had never done anything without someone else in our family but it quickly became clear that Bobby and Bill are family. We spent countless hours at their house playing games, watching movies, playing with with puppies and eating some of the most delicious food lovingly referred to as "Bobby's ... quesadillas, lemon jello, pecan pie, check chip dip"... you get the idea. Bobby was unbelievably creative, talented, and full of love. She had a special soul and I am beyond blessed to have known her. I will miss her jokes, her stories, her smile and her warmth, but I will smile when I think of her, knowing that she has so positively influenced my life and the life of so many others. I love you Bobby. Bill, sending you love and prayers. I can’t remember exactly the first time I met Bobby, it seems like she has always been a part of my life, and to refer to Bobby as just a neighbor or close family friend does not do justice. Bobby and Bill are family and I will miss her very much. I loved her laugh and her sense of humor. She was so good at story telling and I always wanted to hear more. Thinking of her generosity and warmth will always make me think of home and the easiness of being around her. I will never taste a pecan pie and not think of Bobby... and I’m sure none will ever be as delicious. I will cherish countless memories of Bobby and I send my love to you Bill. We will miss you and the fun times we had coming out to your house with Doc Reynolds AKA Huckle Bee. Jeff Wasko , Trudy Summers and Doc Reynoldes purchased the The FTD Pastel Peace Basket for the family of Bobby Hintz. Bill I am so sorry for your loss of Bobby,I wish I could be there with you but my thoughts and prayers go out to you God Bless. 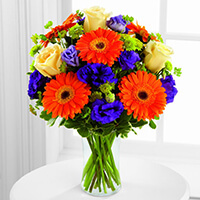 David Hewson purchased the The FTD Rays of Solace Bouquet for the family of Bobby Hintz.